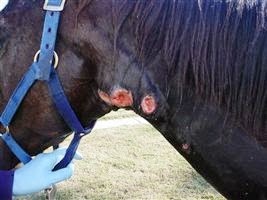 Recently I have been getting questions from equine enthusiasts about two specific kinds of horse illnesses. I realized that not only is it important that I answer their questions, but that I also share this important information with my fans and fellow horse lovers too! I believe that it takes “hooves-on” interaction to really get the most out of your learning. So, let’s play Jeopardy! Scratches is a very common illness for horses to experience this time of year, since it has been raining and producing a lot of mud. Horses usually like to stand around in their pasture – typically in places with worn down grass, like areas around run-in sheds or food and water buckets. This is not a good thing on rainy days, or the soggy days after, because the constant moisture around their hooves, pasterns and fetlocks will begin to irritate and inflame their skin. Eventually, if the area around their legs doesn’t dry, then the bacteria will cause sores and open wounds to form. Clip the hair from the area to keep it as dry and clean as possible. Clean the area with antimicrobial soap or shampoo. After, keep the area as dry as possible (except to clean it daily) and apply a 50:50 mixture of furacin ointment and creamy zinc oxide (for diaper rash) or any ointment containing lanolin, which helps remove scabs and repel water. Do not cover the area with a bandage of any kind! 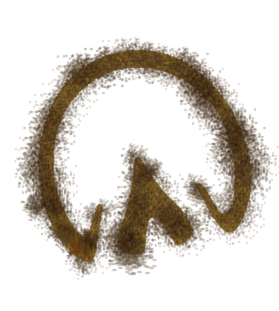 The area needs air! Turning your horse out on dry pastures is the best, but remember that with the dryness comes dust and dirt that will get stuck to any ointment, so make sure to check the scratches daily to keep it clean! The other horse illness that starts with the letter “S” is Strangles. You know that feeling you get when you are sick and your glands start to swell up making it hard to swallow? Well, this infection is similar to that – except worse. BUT, I’ll tell you the good news; this illness IS treatable. Be aware, this illness is highly contagious! You won’t get sick, but other horses will. 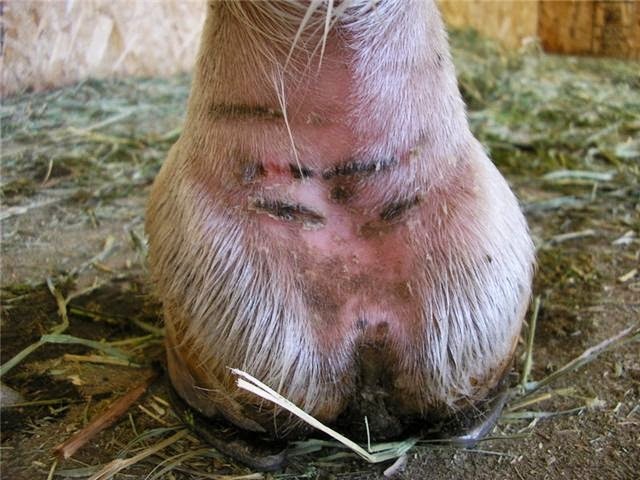 Horses can catch this disease by touching something that a sick horse touched, like a water or food bucket, tack, or even your clothes or hands! If your horse does come in contact with some nasal discharge of an infected horse, it could take as long as two weeks for it to start showing signs of being sick, so call your vet immediately if you think it is infected! It is best to always talk with your veterinarian about how to treat illnesses that your horse has. And always remember – after a visit with the vet, it’s the perfect time to give him or her and your horse a sweet little treat! Grab the doughnuts!